Tanin Torabi is an MA Contemporary Dance student from Iran, studying in Ireland with the University of Limerick. Here, she explores the sense of international community at UL. Scrolling up and down my student email box, I cannot even handle opening all the emails of events and opportunity notices that I receive every day from the university. I wonder, I deeply wish I had attended UL for my Undergraduate degree as well so I had more free time to attend and experience them all! I receive emails from student union, clubs and societies, the Irish World Academy of Music and Dance which I study at, and even from the Cappavilla village – the on campus student accommodation, almost every day. Having a quick look on the titles today, I learn that there is an arts workshop happening in the student center, meal vouchers are to pick-up from student hub, a lunchtime dance concert is held in the academy, the Cappavilla reception has a Nutella/strawberry pancake morning, and all are for free! I wish I didn’t have to work all day on my thesis! MA Contemporary Dance class outside the Irish World Academy, UL! I drink my cup of chamomile tea and wonder how my life has changed in the University of Limerick. I remember how many great opportunities are just ready here for people who are thirsty of learning and experiencing. I wonder how I have been embraced by UL and the students here. I was truly welcomed when I had just arrived in Ireland and had no clue about what is going on. I was totally impressed with the way I was welcomed at the very first week and soon everything was fixed and life seemed quite natural and settled! The MA Contemporary Dance is a really international course! MA Contemporary Dance class – 9 students from 8 different countries! I believe having these international experiences and this level of exchange in the early ages is crucial for students. People who understand this aspect of life and this oneness in addition to their own practice and education, can be better people to run the world and make this world a better place to live! I truly am thankful to University of Limerick for giving me this opportunity to learn about people from different countries, nations, nationalities and genders and feel this deep love and nearness to them. This should not be taken for granted as something that can happen in every educational system with any policies. UL definitely considers the importance of diversity and giving international students a chance to attend it. It certainly is a wise and valuable policy that I as a student also feel its value now. I look out through the window and see people playing Hurling in the grass square in the middle of Cappavilla. The good thing about chamomile tea is that it is still drinkable when cold! Tanin Torabi felt a passion for dance from the very early age of four, but since Iran’s revolution in 1979, dance had been illegal and forbidden in the country, so she could not continue her education in this major; however, she was very keen to follow her love and passion in dance. She is currently studying MA in Contemporary Dance Performance in The University of Limerick, Ireland and hopes to continue her artistic career in Iran. KUCHING: Ireland remains the world’s most affordable destination for tertiary education. Visionary Education Consultancy (VEC) director Anna Cher said there is still a lack of awareness among many East Malaysians about Ireland’s tertiary options even though it is a friendly country with highly-established and world-renowned universities. “Some universities and institutes of technology even subsidise or provide free on-campus accommodation for Malaysian students. Some are also offering scholarships for eligible students. “Tuition fees per year is about 9,000 euros for most institutions, while rental is about 250 euros per month, depending on the area. These are considerably cheap if compared to other Western countries like United Kingdom, Australia, New Zealand and Canada,” she told reporters. She pointed out that Malaysian students do not need a visa to study there. “Also, they are allowed to remain in Ireland up to one year after graduation under what is known as the Graduate Work Visa Scheme,” she added. VEC is authorised by the Irish Embassy in Kuala Lumpur to recruit students who are interested to further their studies in Ireland. The next intake for universities and institutes of technology will be January. “Students can come to us with their SPM (Sijil Pelajaran Malaysia) or Cambridge O level forecast results and we will help them with the enrolment. They will start their foundation studies in January, which takes seven months to complete. After that, they will enter undergraduate programmes in September. “Admission requirement is a minimum of five credits in SPM or Cambridge O levels including Mathematics and English,” Cher explained. Well-known Irish tertiary institutions are Dublin City University, Trinity College Dublin, National University of Ireland Galway, University of Limerick, Cork Institute of Technology, Dundalk Institute of Technology, Institute of Technology Carlow and Royal College of Surgeons in Ireland. VEC also provides similar consultancy services for Swiss College of Hotel Management Lenk (SHML) in Switzerland and International Aviation Centre in Kuala Lumpur. Increasing numbers of Canadian students are making the decision to study in Ireland each year – and they have good reason to! Ireland is a beautiful island, combining contemporary modern cities with an unspoilt countryside, cityscapes steeped in history, and a rich natural habitat. Renowned for friendliness, our safe, English-speaking country offers the warmest of welcomes to students from all over the world. At any one time there are 5,000 Canadians living in Ireland!. Ireland is a friendly and safe country – with a hospitable and welcoming nation of people. English-speaking country – Ireland is the only English-speaking country in the Eurozone with close cultural, economic and educational links with North America and the UK. Internationally Recognised Qualifications and Extensive Choice – Students can choose from an extensive range of courses to meet their needs in colleges and universities recognized for their excellence worldwide. Supportive Learning Environment – Dedicated international offices work closely with academic, administrative, and specialist staff to fully support students throughout their time in Ireland. Innovative and Creative Culture – Ireland is known for its entrepreneurial society: Eight of the world’s top ten ICT companies and nine of the top ten Pharmaceutical companies have their European base in Ireland. Distinguished Graduates – Ireland’s graduates are innovators, leaders and ambassadors for excellence all around the world. Qualifications earned and connections made in Ireland deliver a passport to success and a high rate of employability after college. Leading Global Companies in Ireland – Companies who require a skilled, educated and highly capable workforce to drive their success choose to locate in Ireland; including Google, Facebook, Pfizer, Apple and Intel. Gateway to Europe – Ireland is a gateway to Europe. Many students who study in Ireland take time during their school holidays to visit the UK, France, Spain, Italy, and other European countries just a stone’s throw away. As well as this, Ireland has a worldwide reputation for high quality education which is built on the solid foundation of commitment to excellence. Ireland is ranked 1st in Europe for graduates per 1000 of population. The Education in Ireland website has a very useful ‘What Can I Study?’ function. Students can type in their preferred subject, which level (undergraduate or postgraduate), and where in Ireland they would like to complete their studies. A list of possible universities and colleges is generated, with further information on the institution and the selected course of study if you follow the links. Ireland is making a marked and growing impact in every research field it is engaged in. Irish universities are now in the top 1% of research institutions in the world in 18 fields, spanning natural sciences, social sciences and the humanities. Ireland is ranked 20th in the world for overall international scientific citations per paper – a remarkable achievement for such a small country. ‘’When I decided on leaving Canada to finish my undergraduate degree in Ireland, I didn’t really know what to expect. I hadn’t researched much on the country but I thought that the international experience would look good on my résumé. Little did I know that I was in for one of the best times of my life! Ireland is a welcoming island with cosmopolitan cities and a strong history related to literature. The government is annually investing around 870 million EUR in research in higher education and also encourages international student scholarships. The country has nine prestigious universities and 15 technological institutes that welcome around 35,000 international students from 161 countries. The impact of research in Ireland is visible in natural sciences, social sciences and humanities. The international environment is visible in this English-speaking country that matches the charm of the UK, while keeping costs close to European averages. Find more information below about the university tuition fees, living costs and scholarship opportunities for international students in Ireland. The undergraduate degree courses in Ireland are, usually, free for citizens of Ireland/EU. However, in order to benefit from the “free fees initiative”, you have to apply for the funding governmental programme and prove that you are eligible(e.g. : you apply for the first time, and your chosen programme lasts more than two years). Nationality, immigration status, residence and course requirements are also criteria that can qualify you for a tuition-free university degree. However, all students have to pay around 2,500 EUR/year for student services, such as examination entries and support for clubs and societies. Undergraduate courses 9,000 – 45,000 EUR/year for undergraduate degree courses. Postgraduate Master and PhD courses: 9,150 – 37,000 EUR/year. Fees vary depending on your chosen field of study, programme and university. University of Limerick– average tuition fees 7,000-8,000 EUR/year. University College Cork– average tuition fees 6,500 EUR/year. Cork Institute of Technology– average tuition fees 3,500 EUR/year. St. Patrick’s College– average tuition fees 4,500 EUR/year. Trinity College Dublin– average tuition fees 7,500 EUR/year. University College Dublin– average tuition fees 6,700 EUR/year. National University of Ireland, Galway– average tuition fees 6,000 EUR/year. Royal College of Surgeons in Ireland– average tuition fees 6,000-8,000 EUR/year. Take note that usually, non-EU/EEA students will have to pay double the tuition charged to EU students. Ireland is a country where you will enjoy a balanced lifestyle. Living costs are a bit below average for the European area. Total living costs for an international student are around 600 – 873 EUR/month. Check out a detailed list of prices and estimates on living costs in Ireland! Accommodation plays a major role when it comes to expenses as a student in Ireland. This means students spend around 38% of their total monthly budget on housing. Universities accommodation in residence halls usually costs above the European average of 200 – 300 EUR. Only 12% of the total international students enjoy accommodation in student halls, according to a European study. However, 72% of them are satisfied with the rooms and services. Apart from residence halls, you can rent/share an apartment or choose home stay housing. Average monthly food costs are not high, these may cost around 240 EUR/month for grocery shopping. You can find cheaper food products in supermarkets such as Aldi, Lidl, Tesco, Dunnes or Superquinn. You can also dine in a small restaurant and pay 15 EUR or enjoy a three-course meal for two in an average restaurant for 55 EUR. Students from Ireland can benefit from discounts for transportation especially if they use the Student Leap Cardor the Bus Éireann services to travel around the country. Around 27% of the students use public transport in Ireland and a monthly pass with a special discount for students is around 50 – 55 EUR/month. The most popular mode of transportation is the bicycle, chosen by 38% of the students. You can rent a bicycle to get around the city; rates start from 20 EUR/day. Student Universal Support Ireland (SUSI) – national awarding authority for all higher education grants offer financial support meant to cover living costs during nine months over the course of an academic year. After you have all the information packed, get ready for a unique study experience in Ireland! Ireland is an increasingly popular destination for student from all over the world. The friendliness and hospitality for which Irish people are renowned ,must have been the factor that contributed to the ease with which overseas students adapt to the way of life and in particular, the student life. Around 10% of students in higher institution in Ireland are from overseas and over Eighty (80) countries are represented in the international student population. The very good thing about this is that students are welcome from different parts of the world irrespective of their continent. China,Malaysia,France,USA,Nigeria,Botswana,Ethiopia,Uganda,Pakistan,Saudi Arabia, Kuwait, Serbia, Germany, Peru, Congo, Cameroon to mention but a few are some of the countries in this partnership. For a student to get into Ireland you have to get a visa from the Irish embassy of your home country. This visa will only read study visa and with it you have only three months to stay in Ireland after which between these three months you have go and register at the Immigration and get a certificate card inform of identity popularly known in Ireland as “Garda National Immigration Bureau” (GNIB) Card. Having got this card you are now entitles to stay in Ireland for just one year. If your study is more than a year you have to renew this card every year. This card is only to be given if you have been able to prove that you have sufficient money in your account as a student, a valid international passport, your student I.D card, a proof that you have been insured either privately or by your scholarship sponsors and you will pay the sum of one hundred and fifty (150) Euros. After this you are free to move around the city and to do some other necessary registration. For instance, if you want to work you can only be employed by any organisation with your Personal public service (PPS) Number. This will be issued to you by the Department of Social and Family Affairs after they have demanded for your “GNIB” card and your international passport. Students are only permitted to engage in casual employment for up to 20 hours per week during school terms and up to 40 hours per week during school holidays. If you are from African countries and you want to travel within your years of studies to any country you have to send your passport to the Department of Justice, Equality and Law Reform to request for multiple visa as the initial visa issued to you will only be on a single journey .You will have to submit your passport and your “GNIB” card again and you will pay the sum of one hundred (100) Euros for it. But student from Botswana, the European countries and some parts of Asia like Malaysia are exempted from this. There are nine (9) universities in Ireland – 2 in Northern Ireland and 7 in the Republic. The University of Dublin, Trinity College (TCD), founded in 1592, is the oldest university in Ireland. The National University of Higher institution in Ireland consists of the universities (with associated colleges of education), institutes of technology, and a number of private independent colleges. The universities and institutes of technology are autonomous and self-governing, but are substantially state-funded. Ireland (NUI) is a federal institute consisting of four constituent universities; University College Dublin, National University of Ireland Dublin; University College Cork, National University of Ireland Cork; National University of Ireland Galway and National University of Ireland Maynooth. NUI also has three recognised colleges: National College of Art and Design (NCAD), The Royal College of Surgeons in Ireland (RCSI) and St. Angela’s College of Education. The two newest Universities in Ireland are: The University of Limerick (UL) and Dublin City University (DCU) which were founded in 1989. The two universities in Northern Ireland are: the University of Ulster (UU) and the Queen’s University of Belfast (QUB). There are currently 14 Institutes of Technology located throughout the Republic offering programmes at degree, national diploma and national certificate levels in a wide variety of subjects. Their qualifications are externally validated by Ireland’s national certification authority, which ensures that their qualifications reach the highest international standards. Many of the Institutes of Technology also run postgraduate diploma and degree programmes, both taught and research. There are five Colleges of Education for primary school teachers. These colleges offer three year full time courses leading to a B.Ed degree which is the recognised qualification for primary school teaching. Generally life in Ireland as a student is relatively interesting depending on the type of Area and type of person you are. To get started you can get a Student accommodation as low as fifty (50) Euros per week and as high as one hundred and fifty (150) Euros per week depending on where you choose to stay. Also the means of transportation ranges from Bus, car to train but if you are travelling across the state flight are also available. Out of all these the buses are the cheapest. The buses are just one Euro Sixty cent (1.60) within the city and you can easily get them in the city centres .Taxi cab are also available but they may be expensive a little bit for a student as some of them charge per km. To enjoy your studentship more when travelling you can try to get your International Student Identity Card (ISIC) issued by (UNESCO) in conjunction with the ISIC Association. You will get this by paying only thirteen (13) Euros with your recent passport, as this will allow you to benefit from some discount given to travelling students internationally. In terms of shopping there are many places to do this if you really want relatively cheap food items you will visit the like of ALDI ,LIDL, Tesco, Supervalu, English market and so on. For some designers you may check these shops out: Brown Thomas, River Island, Timberland, T.K Max and Debenhams. Michael Guiney’s and Penny’s are good for some beddings and household materials while you can easily get your electronics like computer, Radio sets, Television sets, clippers, wall clock, camera and so on in Argos, Sony centre, Expert and P.C. world. Finally if you are the flexi type you can go to pubs to enjoy yourself or buy some wines in places like Hillbilly’s with the Acronym (Buy one get one free).It is good for you to also target the time of sales or promos in shops like Michael Guiney’s and penny’s as you will be saving a lot of money during these periods. The structure of all the institutions in Ireland is wonderful and all the facilities needed in a higher institution are provided such as a big library, computer centres, resource room, and administrative blocks. Virtually all the lecture theatres are spacious and have a power point projector that makes it easy for the lecturers to deliver their messages and for the student to enjoy the lecture condition. Lecturers bring the photocopy of what they have in the slide so as to make it more understandable when lecturing. Academic in all Ireland Institution are okay. Irrespective of the institution you choose you will enjoy your studies there, provided you are ready to study and work hard because there is no room for laziness and student are not allow to be idle, as essay and assignments are given to student at interval with a deadline for submission of which if you failed to meet you have to face the consequences. But one good thing is that all the lecturers in all the institutions are very good, knowledgeable, approachable and ever ready to assist and give you the necessary support if you are not feeling shy. Likewise the students in all the schools are ready to work with you because a lot of international students are there for you to share experience with and some of the Irish students have also travelled out of the country and have some ideas and experience of other cultures. CAMPUS LIFE: The student union of each institution also organised their own welcome party for the new student and they offer some necessary information that will make the life in campus conducive for the entire student especially the international students. They will give you a welcome pack which will contain some writing materials and your calendar or wall planner for the academic session. Orientation week and some party weeks will be organised for you as well. There are some societies in the campus that you can join depending on your interest. It is good to join one or two societies so as for you to be able to utilize your talent and make yourself relaxed. Some students also organised class party but not in all cases. Malaysian students in Ireland join the #ATileForSeville campaign. Yesterday we had the pleasure of receiving a group of Malay students, medicine and pharmacy, in their fourth year of studies in Ireland. From the Seville Mosque Foundation we wanted to thank them publicly for their effort and generosity. These students since they knew about the #ATileForSeville campaign, from Ukhwah for Ummah, where more than 15,000 people have contributed until this day, so these students decided to make their own fundraising campaign for the Islamic Cultural Center, Mosque and Awqaf of Seville , among students and friends in Ireland. Our sincere thanks to all of them for their initiative and to all who have contributed to this campaign. Gestures like this are, without a doubt, an example and a joy for all of us. With this effort and with every grain of sand, as is the motto of our campaign ’tile by tile’, we will achieve the goal that we long for and desire. Insha Al-lah. Frisha Ishak has always considered herself a shy person and says she struggles to make new friends. Moving to a city thousands of miles from her home in Kuala Lumpur was a daunting prospect for a young woman who had never lived abroad and did not even know how to cook. However, upon arriving in Ireland in 2012, she was determined to meet people outside the group of 20 Malaysian students who had also travelled here to study accounting. The 24-year-old built up the courage to join college societies, including the drama group, where she met plenty of Irish people. She had decided to move to Ireland after an opportunity arose to complete the final year of her accounting degree in Dublin. She had always planned to study medicine but decided to pursue a career in accounting after she received her high-school exam results. 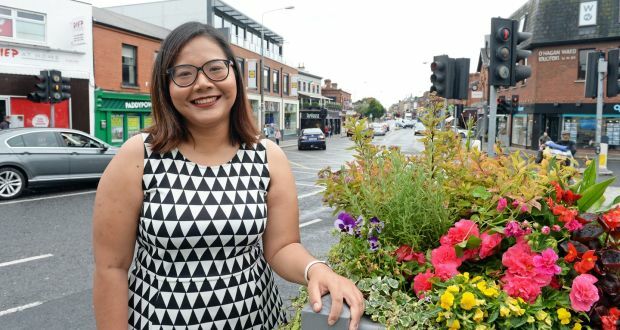 Despite the initial nerves of leaving her parents and sisters behind in Malaysia, she was excited about studying in Dublin. Her father had lived in Australia as a teenager and always encouraged his youngest daughter to travel abroad and learn about different cultures. “I was half nervous and half excited, because it felt like my dreams were finally coming true,” she says. “Ever since I was a little girl I had always wanted to travel around the world. I didn’t want to stay in Malaysia forever. I just couldn’t wait to finish school and go to college somewhere else. She spent her first week in a hostel in Temple Bar before finding a place to live. She loved the independence of living abroad. After completing her degree, she sat her professional accounting exams and was subsequently offered a job on a graduate programme with the Dublin accounting firm RSM. While many of her fellow Malaysians returned home after their studies, Ishak decided to remain in Ireland. Although Ishak made new friends in college, she found it difficult to meet people after completing her studies. When her flatmate suggested she join GirlCrew (a social platform for women to make new friends), she immediately signed up to the Facebook page. Since joining, she has gone on coffee crawls, seen concerts, visited different parts of Ireland and had chats over numerous cups of tea with women from around the world. Like Ishak, these women have struggled to make friends in a fast-paced society that increasingly favours communication through social media and technology over face-to-face interaction. “I was very shy at first and didn’t post much on the Facebook group. But over time I went for a few meet-ups and felt more relaxed. The majority are Irish women, but there are other foreign nationals who have moved to Ireland. There’s more than 9,500 of us in Dublin, but there are other groups around the country. She has visited Malaysia twice since moving to Ireland and hopes her family will make the trip to Ireland later this year. She also feels a sense of liberation living in a city where her life is no longer dictated by the conservative cultural norms of Malaysia. If you are looking for a new experience and great education, consider Ireland. Merette Kennedy delves into the reasons that make this country a great international study destination. You’re thinking of studying abroad. You want to experience education in a different culture and challenge yourself to step outside of your comfort zone. You will find many options to study in the US, UK, Canada, UAE, and now Ireland on SchoolApply. We encourage you to find the destination and school that is the right fit for you. I however found my perfect fit with Ireland and am here to tell you why this country is such an incredible international study destination. International study in Ireland is a constantly growing franchise. Ireland’s Minister of Education, Richard Bruton, has embarked on a proactive mission to welcome even more international students by the year 2020. He believes in the quality of education in Ireland and has been overseeing the active increase in international enrollment in the past five years. He, along with many educational institutions around the country, believe things will only get better. I studied at the University of Limerick in Ireland for a semester in my undergraduate year of college. During this time, I fell so in love with the Irish culture, education system, people and rolling green hills, that I decided to later return for my postgraduate degree at the very same university. My experience as an undergraduate was not the only reason I returned for a postgraduate degree. Tuition fees in Ireland, considering the level of education and the stature of the universities, are quite affordable. Even for a non-EU student, such as myself, the cost was still much lower than any university within my home country – the US. Add in the bonus of experiencing life abroad and my decision was made. Low cost, quality education, a beautiful campus and a chance to experience a new culture and education in a different country; a no brainer in my book! SchoolApply can introduce you to a plethora of top quality universities around Ireland. Some of these schools include National College of Ireland, Mary Immaculate College, Dublin International Foundation College, Cork Institute of Technology, IT Carlow and Trinity College. Three of these colleges are located in Dublin. This endearing city offers an endless amount of historical tours, nightlife, sports, music and entertainment. A wonderful spot for those who like to be kept busy. Trinity College is a campus I have personally seen many times. A beautiful adage of old buildings located close to the city centre, which ensures its global reputation will stay intact for a long time to come. Trinity proudly offers programs in Arts, Humanities and Social Sciences, Engineering, Maths and Sciences, and boasts famous alumni such as author Oscar Wilde. National College of Ireland and the Dublin International Foundation College are also located in the country’s capital city. Both offer programs in Business and Management and much more. If you see yourself wanting to study in the bustling and cultural city of Dublin, these colleges may be a perfect fit for you. Colleges outside of Dublin offer a great new vantage point of the country, Mary Immaculate College being one of them. Located just outside the historic city of Limerick, Mary Immaculate offers wonderful programs in Education and Humanities and prides itself in being a top quality liberal arts college. The campus has grown significantly over the past ten years or so, offering state of the art amenities for their students. I have visited this campus many times as well, and the vibe is welcoming and relaxed. The location is prime as it is near an international airport as well as the lovely River Shannon. This is a wonderful opportunity to experience Ireland’s quaint and personal side. IT Carlow is another great college that offers a thriving town scene and is only an hours drive from Dublin. This institute of technology offers many courses such as Engineering and Science, Business, and Computing. Carlow offers the perfect blend of a small town life while never being far from city life and adventure. 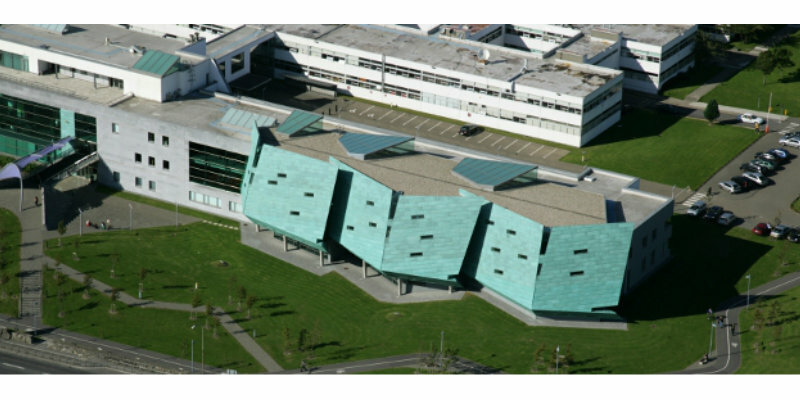 Cork Institute of Technology also offers a wide range of programs with a strong emphasis on Engineering and Sciences. It offers programs in Music, Art and Design. This historic school located in Ireland’s second largest city, Cork, has over 12,000 students and offers an authentic west coast vibe. Public transportation is incredibly convenient and makes it easy for students to explore the beauty of the west coast and all it has to offer. 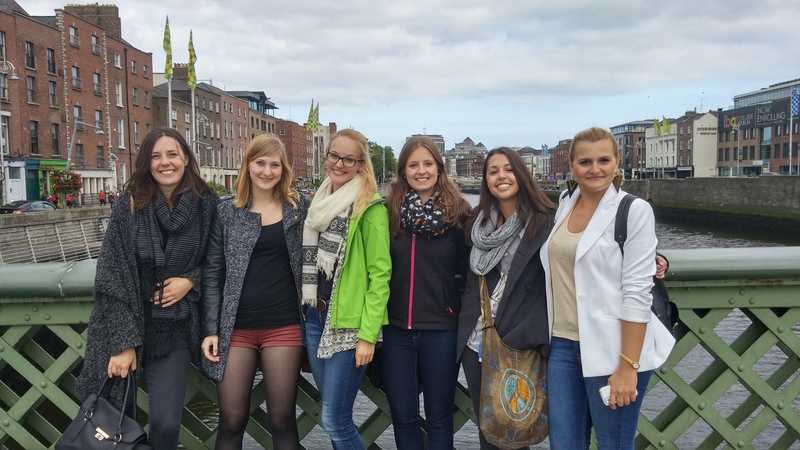 Ireland has an umbrella group called ‘Education in Ireland’ that promotes Ireland as a study destination and supports all of its international students. They do this by attending fairs around the world, with the objective of connecting with international students. Representatives from colleges across Ireland promote their universities and attract an array of students with their broad spectrum of programs. ‘Education in Ireland’ also has an extremely convenient website for students about to embark on their first excursion to the country. This site gives details about obtaining health insurance, registering with police, opening your bank account and details on working while studying. All of these extremely helpful tips make the relationship between Ireland and its international counterparts easy and manageable, leaving room for the exciting prospect of study abroad. A lot of students need financial guidance throughout their academic terms. ‘Education in Ireland’ tries to make the process of working and studying as easy as possible for international students. Registered students, EU and Non-EU, can work up to 20 hours per week and 40 hours during holiday periods. I was one of those students. I took up part time work at a shop called O’Brien’s Fine Wines, where I worked for a maximum of 20 hours per week. This was a massive help in keeping myself afloat, and not having to write home every week in a panic. I also really enjoyed supporting myself, forming relationships with my coworkers and getting a break from studying! Shops, grocery stores and pubs are well suited for students as they offer flexible hours allowing you to balance your student life. If you are worried about having lower funds than you intended when setting off on your international adventure, worry not! Working part time is a viable and easy option. Most universities guide students in their job hunting which is extremely helpful. From my experience, I felt like I had guidance and support whenever I needed it. To sum it up, lower college tuition, quality education and facilities, easy and accessible public transportation, gorgeous scenery, cities, culture, music and great people; these are all the elements that intertwine in making Ireland an amazing choice for studying abroad. 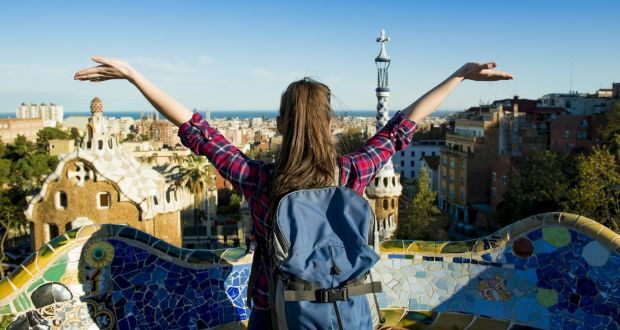 Many students give up on their dreams to study abroad, especially in Europe due to the rising costs, both in terms of tuition fees and daily expenditure. The exchange rate that continues to see-saw creatures another stumbling block. But there is indeed hope for those who still want to get there. How, you may ask? Well, welcome to Ireland. There are many reasons why this would be the perfect tertiary destination for you, so do read on and decide for yourself. C.K. Chiau, or as he likes to be called, CK, has more than 15 years of experience in helping students decide on their futures. Now, heading his very own team at Education in Ireland, with the blessing of the Irish government themselves, he tells us the top reasons why every Malaysian should consider studying there. Why should you study in Ireland? Well, CK has multiple reasons, and some of which may stun you. Yup, that’s right. No complicated and mind numbing visa processes to follow. No expensive fees to be paid to receive the aforementioned visa. No visa, period. Utter bliss. While Ireland accepts almost all pre-u programmes from Malaysia, including STPM, matriculation and some local diploma programmes, they have their very own unique foundation programme, which takes just 9 months. Catered for students who have just completed their SPM and are looking for the fastest pre-u course available, the Foundation in Ireland has intakes as early as January. For those of you who wonder if you will have to wait for your real SPM results to release to apply, fret not! The programme accepts forecast results as well. Through this fast track route, upon completion, students can enrol in the Degree programme immediately during the September intake, making sure no time is wasted. 2 years Diploma + 9 months Ireland Degree = Graduate with Accounting Degree with ACCA 9 paper exemptions. Courses in Ireland are all in ENGLISH. No need to learn a separate language to receive the perks that others do. If you do indeed WANT to learn a new language, then they make take up courses offered there such as International Business with different languages on offer such as Italian, German, Spanish and so on. As they use the Euro, the government universities are still subsidised. The actual cost after all those subsidies? Starting from roughly RM40,000 a year, which is a bargain in any European country. With scholarships (many of which are offered to Malaysian students), it could go down to RM30,000 a year, which is reminiscent of fees at local universities. Of course, if you choose to study abroad, then there are other costs to keep in mind. The estimated cost of living is RM2,000 – RM2,500 per month, which equates to around RM30,000 per year (including meals), which comes up to a grand total of RM70,000 a year in total. Remember the RM70,000 we calculated above. Well, that could potentially do down even lower, due to the fact that accommodation in Ireland is extremely close to the institutions. There is a variety of on-campus and off-campus accommodations that are all within walking distance that help students save on transportation fees. To top it off, Dundalk Institute of Technology, which is extremely close to Dublin and the Institute of Technology Tralee, offers FREE accommodation for the full 3 years of study to Malaysians. Ireland have a stay back policy for all international students who complete their studies there. For students who graduate with a Bachelor’s Degree, they’re given a full year to look for a secure a job so they may stay on and work in Ireland upon graduation. For Master’s students? They get a two full years to do the same. CK also noted how many Malaysians who have gone to the Ireland have been hired by MNCs due to their existing command of more than one language. To top it off, many MNCs are now putting up cloud server facilities in Ireland due to the conducive weather, not being too hot or cold, which bodes well for both the economy and the chances of taking advantage of the stay back policy. Besides tech giants like Google and Facebook setting up shop there, Ireland is home to 9 out of the top 10 pharmaceutical companies in the world. Suffice to say, you’ll be spoiled for choice when searching for interviews post-graduation. Ireland is also noted to be very safe, being on an island. “Policemen there don’t ever carry a gun because of how safe it is,” says CK. On top of that, being a rather smaller place, with less to do, students are more compelled to concentrate on their studies. Institutions in Ireland offer scholarships, ranging from 25% to 50% off tuition fees (depending offer by respective institution and course applied). Please contact Education in Ireland for more info on scholarships offered by Irish institutions.